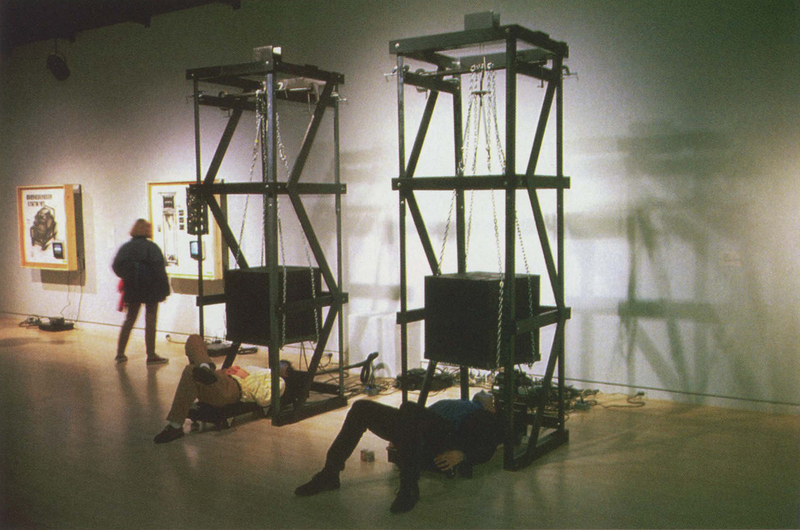 Through the interdisciplinary medium of computer-aided video/kinetic sculptures, I create interactive performative installations. Both visual and audio elements are simultaneously experienced in the physical domain (kinesthesia), challenging perceptions of reality through illusion. These sculptural installations are assigned a Case Study number. Each Case Study facilitates and instigates a “social happening; inducing elements of play and humor as humanistic models for interactivity with enticing traits of risk and danger. Participants and viewers become guileless subjects from an observational perspective, a view whereby human behavior, social interaction, body language, and physiognomic characteristics can be analyzed in real time. My work is based on the language and methods used by the haptic learner. It transforms this language and understanding into a three-dimensional tactile/kinetic platform. Each Case Study provides an experiential embodiment of both body and mind, which I call “hapticism”. Hapticism is akin to the somatic, in which we learn principally through the physical body itself. With the aid of technology, these interactive works of art utilize kinetic methods to produce a reality virtually perceived by the haptic learner. Hapticism may be a model for integrating art, culture, and technology – for stimulating our senses while engaging our intellect.